Architect Damien Chwalisz does a kind of alchemy with his shipping container refurbishments, in which he takes something on its way to rubbish status and infuses it with new, custom-designed life. Architect Damien Chwalisz’s first foray into working with shipping containers was extreme. It was a CBD residential project that involved creating two towers of containers – each four storeys high – joining those towers along the long edge, and setting it all on a tiny block in the middle of the city. Damien Chwalisz is a South Australian based architect, builder and designer. See more of his work here. “Using the containers in this project was as much about exploring the possibilities of this construction method as it was about the process of construction,” says Damien. Despite the intensity of this introduction to the form, Damien became fascinated with the potential of the containers. 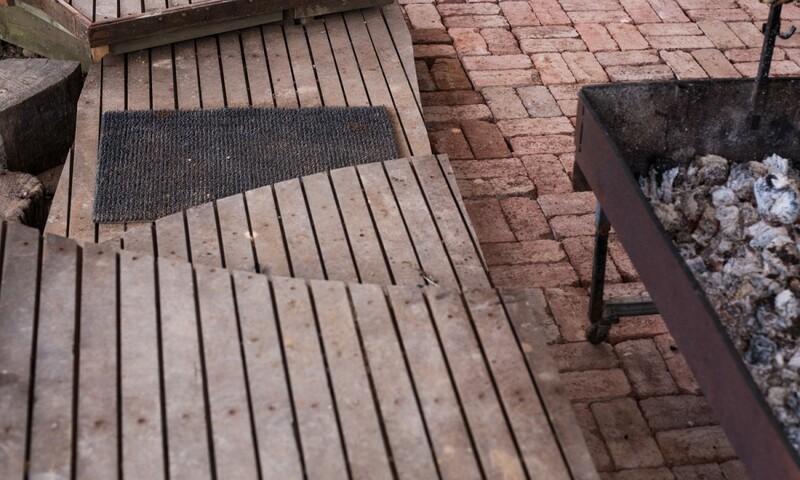 Working with Archspace Construction and Landscaping, they have since become a regular part of his practice. “Our subsequent adventures into this type of architecture have been significantly more humble in size and scope but no less interesting,” says Damien. While container conversions are not unique to Damien and his architectural practice, his heavy emphasis on the custom nature of the adaptations as well as a strong environmental bent set his work in the area apart. “The idea is that we meet the client, design a container space specifically for them, and build it to the budget that they have, rather than have a range of products that they can select from ‘off-the-shelf’,” says Damien. The proof of Damien’s interest in and aptitude for the use of containers is in his personal adoption of one. Up on his block of land in Adelaide’s foothills sits his own adventure in shipping container living. 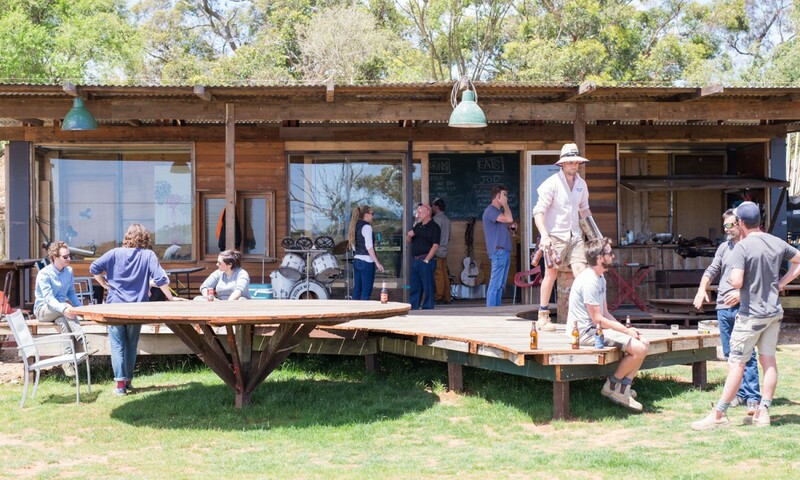 Barely recognisable as a shipping container structure, his space – which he uses as a hub for parties and events, or as a place to make a few coffees, drink a couple of beers or to occasionally campout in – has been wood clad and also augmented with an awning that Damien says “helps create shade and extend the interior space”. Incorporating a bolt-on roof structure to further enhance the inherent energy efficiency of the container itself, and able to be built offsite and then dropped in ready-to-go, Damien’s example of a container adaptation demonstrates the convenience, sustainability and affordability that is at the heart of all of his work with this form. And with the help of his ever-present architectural eye, it looks pretty good too.